Water is used for all biological processes in the plant cell, conveying food rich liquids through the phloem transport system of the plant. From the ground surrounding the plant's root system, minerals and nutrients are pumped by plant roots in a symbiotic process between bacteria, fungi and plant roots, where the plant provides a habitat suited for microorganisms. In addition, constant water supply aids the growth process, foliage, blossoms and fruit. Excess and ongoing irrigation dilots micro-elements that are essential for plant growth. Transporting them to the depths of the ground, leaving layers of soil without essential minerals. In addition, excess water prevents the absorption of oxygen through the roots and encourages steady growth of fungi and potentially harmful hazards pests. Poke the ground with your finger around the roots area to find out the amount of moisture. A ability acquired with time! During the hottest hours it is not recommended to water plants. Irrigation should be done during the morning or in the afternoon before sunset. It is better to wait for later hours to irrigate. Have a kien aye on when the plants need water. When germinating seeds it is important to keep the soil moist, watering in small pots or plug trays requires concentration and attention to the proper amount of irrigation supplied to the transplant which ensure a healthy growth of the seedling. Healthy transplants = healthy growth = healthy crop. Plants grown in a greenhouse are not under "superficial" condition and therefore require supervision. Excess watering will cause unhealthy roots development and accelerated fungus growth that affects plant growth and prevents oxygen from aerating the roots. Proper watering will cause a normal development of the roots. Contrary to conventional thought, when soil is dry, the roots tend grow in new directions in search of new water sources, this strengthens the basis for plant roots, eventually making the plant stronger. It is recommended to Water pots or trays twice a day during the warm season, moderate watering in the morning and prairie sunset. The preferred method of irrigation (invented in Israel). Highly accurate and most economical watering system. Droop system irrigation is controlled, can be changed according to the season. Adjust the amount of water for each individual plant. Usually during the dry season, activate the system four times a week for 20 minutes a day should be enough for most plants that do not require specific irrigation. The flexible plastic pipes can be deployed easily. There are different drip line hole spreads and different water supplied by drip. Using a small plastic taps for individual lines regulats water supply to that row. When using drip irrigation, in order to allow proper functioning of the system (high pressure system will burst and get damaged), it is recommended to add a pressure regulator, reducing the pressure of the pipes down to 1.5 atmospheric pressure. In addition installing a filter will prevent future problems like clogged drip holes. Most vegetables suitable for average irrigation of about 0.5 liters per day in the spring, a liter at the hot season. plastic pipes com in different forms without drip holes (add drip holes manually) or alternatively buy pipes with built-droppers every 30 cm or so. Manual irrigation with a hose or watering will demand to be alert of the irrigation amount to the soil. Soil should be moist and slightly crumbly (not flooded with water). Like a mobile drip system. sprinkler irrigation are flexible, but this method has a number of disadvantages: Excessive harmful weeds growth makes it very hard to control weeding. The water damage to foliage of plants (especially in summer plants like Solanaceae family and gourds) will in many cases advance the development of fungus and disease on the leaves. Irrigation should take place when the plants need water. Local climate must be taken in to consideration,hot and dry or cold and wet, vegetative growth stage - seeds, sprouts, seedlings or mature plants, soil type - sand, heavy soil, red or black. When the climate is hot and dry, water the soil more frequently. In sandy soil water percolates quickly, scatter drip line in short intervals. 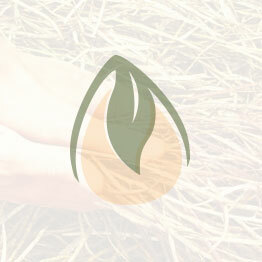 Seeds need constant moisture from germination, regularly and continuously. Roots, leaves and bean plants drink water from the upper layers of the ground. Corn, tomato and asparagus have a deep root system, long irrigation intervals will suffice. Do not water during the hot hours of the day, irrigate only in the beginning or end of the day. Excess irrigation depletes the soil of it’s minerals that are essential for plants. Permanent flooding of the roots aria prevents aeration and oxygen. Avoiding irrigation would cause harm to the growth of plants.